Our company, All Areas Demolition Excavation, attended the Sunny’s Business awards on Saturday night. 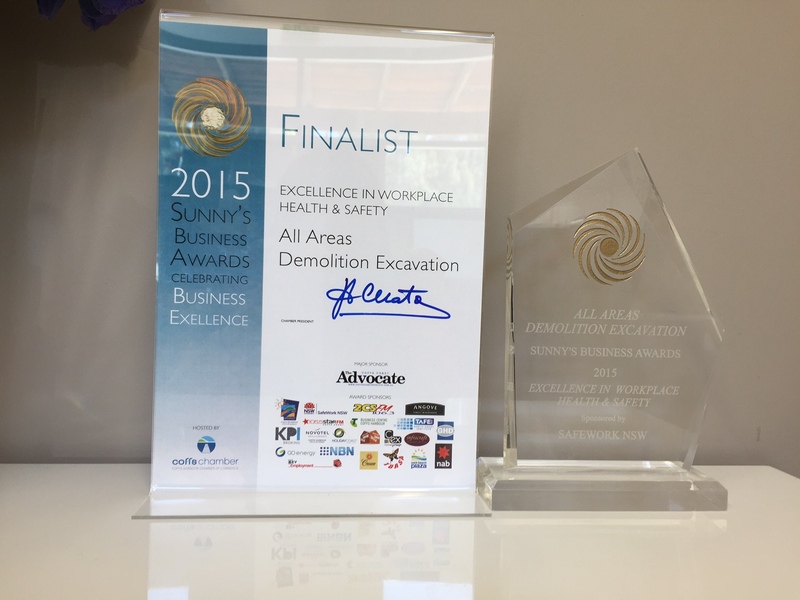 We were finalists in two categories; the category of Excellence in Business Ethics and the category of Excellence in Workplace Health & Safety. 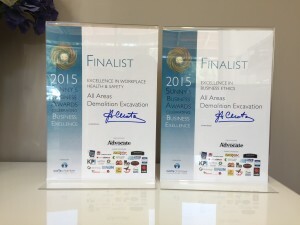 All Areas Demolition Excavation are proud to announce that we came away with a win in the category of Excellence in Workplace Health & Safety which was awarded to us by SafeWork NSW. We are thankful for this recognition of our efforts to maintain a safe workplace at all times and ensure that our workers remain safe on site at all times.